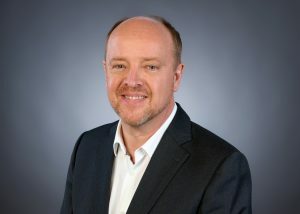 The Woking-based, multi-million pound, international IT distributor Nuvias, has appointed Simon England as its new CEO. He has been tasked with taking Nuvias into the next phase of its development, leveraging the service-led and solution-rich platform and completing the vision to become Europe’s leading High-Value distributor, accelerating growth and impact for partners. Simon takes full operational control as chief executive from 1 April. His experience in developing and leading businesses in the value added distribution space for almost 30 years includes his most recent role as senior vice president at Next Generation Technologies. The Nuvias Group, which has a turnover in excess of $500million, has brought together award-winning channel businesses across Cybersecurity, Advanced Networking and Unified Communications. The initial phase, integrating these acquisitions as a group, has been led by Paul Eccleston, who will take the position of Executive Chairman of Nuvias Group, retaining responsibility for vendor and corporate Strategy. Simon said: “Nuvias is exceptionally well positioned in a market which continues to grow strongly and is transforming how IT Services are securely delivered and consumed. Nuvias has a unique set of assets, from its expertise and reputation to its partner network and portfolio of market-leading vendors and services. I am excited about the opportunity to build on these foundations”.